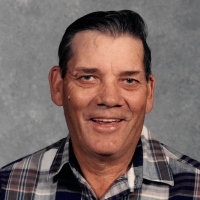 Mr. Lonnie Skipworth age 86 of Clifty, KY passed away Tuesday February 5, 2019 3:52 p.m. at the Jennie Stuart Medical Center Emergency Room from injuries sustained in an automobile accident. Services will be Saturday February 9, 2019 11:00 a.m. at Latham Funeral Home in Elkton, KY with Rev. Jonathan Skipworth officiating. Burial will follow in the Joines Chapel Cemetery. Visitation will be Friday February 8, 2019 from 5:00 to 8:00 p.m. at Latham Funeral Home in Elkton. Mr. Skipworth was born April 29, 1932 in Greenville, KY. He was a farmer and logger, a member of Joines Chapel General Baptist Church. His wife Mellon Jean Skipworth passed away in 2018. He is also preceded in death by his parents Frank Skipworth and Allie Gates Skipworth, his brothers Shellie and Ray Skipworth, his sisters Connie Ann Walker and Amanell Vincent, his grandson, Alec Skipworth. He is survived by his sons Donnas and his wife Penelophie Skipworth of Clifty, KY, Tommie Skipworth of Clarksville, TN and Anthony and his wife Marisha Skipworth of Hillsboro, OH, his daughters Gale Combs of Clifty, KY, Marteta and her husband Wayne Morris of Greenville, KY, and Bonita Skipworth of Clifty, KY, his brother Frankie Lee Skipworth of Greenville, KY, his sister Lady Mae Settle of Clifty, KY, 16 Grandchildren, 18 Great Grandchildren and 2 Great Great Grandchildren.